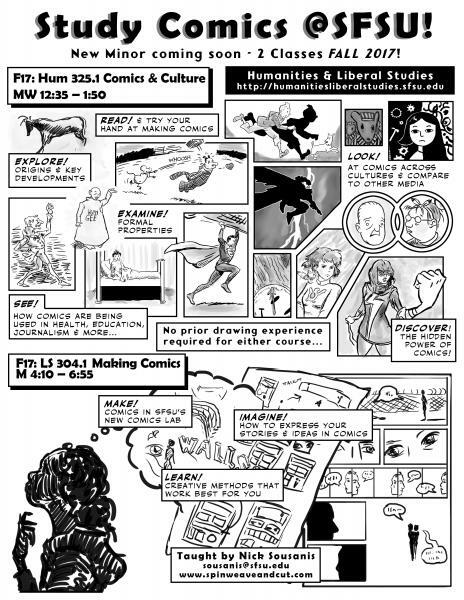 Comics Studies has come to SF State! SFSU Comics Studies Archive Reception! We graduated our first Five Students with the Minor this May! See interviews with Nick Sousanis about the program in SF State News and in the Golden Gate Xpress. HUM 540 Topics in Comics: MANGA! Curious about manga or want to test your otaku knowledge? Discover the hidden histories of manga in Japan and worldwide; read pioneering works and become familiar with the culture and circumstances that gave rise to one of the most famous exports of Japan! We will focus on transformations in the look and feel of manga over the last century, examining relationships with fashion trends and visual arts. We will also pay attention to the kinds of relationships manga set up with their audiences, and look at the reception history of manga in popular culture (including cosplay, dojinshi, fan-fiction, manga cafés, and more) and scholarship. HUM 540 Topics in Comics: San Francisco Underground! San Francisco was the birthplace of Underground Comix, Wimmen's Comix, & Gay Comix. 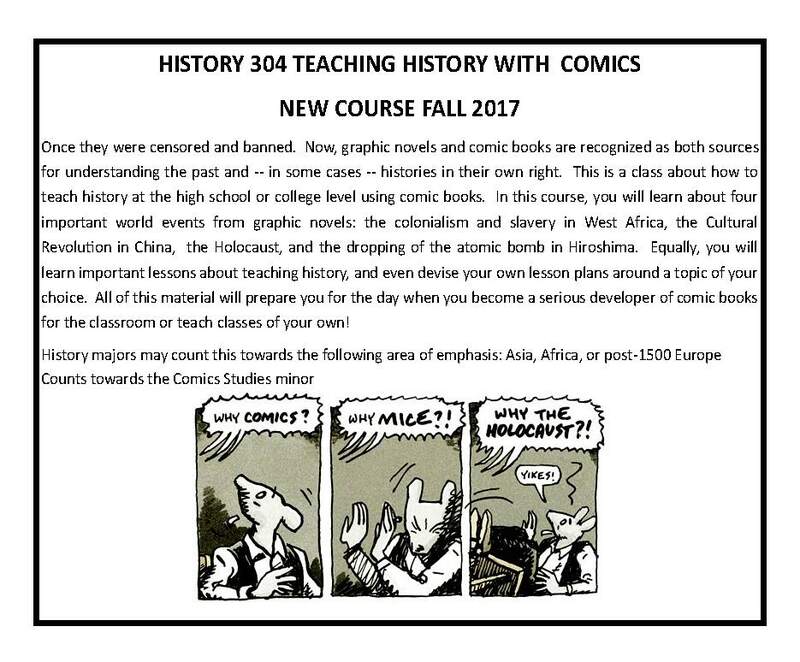 This class will introduce students to this rich creative legacy, with history/herstory/theirstory, critique and creation, as well as consider how this legacy influenced today's medium. Also coming in Spring of 2019, AFRS 675 Afrofuturism will be offered by Dr. Dawn-Elissa Fischer on Mondays 4-6:45! It will focus on Africana Speculative Fiction, Comics, and Music and will count towards the Comics Studies Minor! Stay tuned for more announcements on new classes.